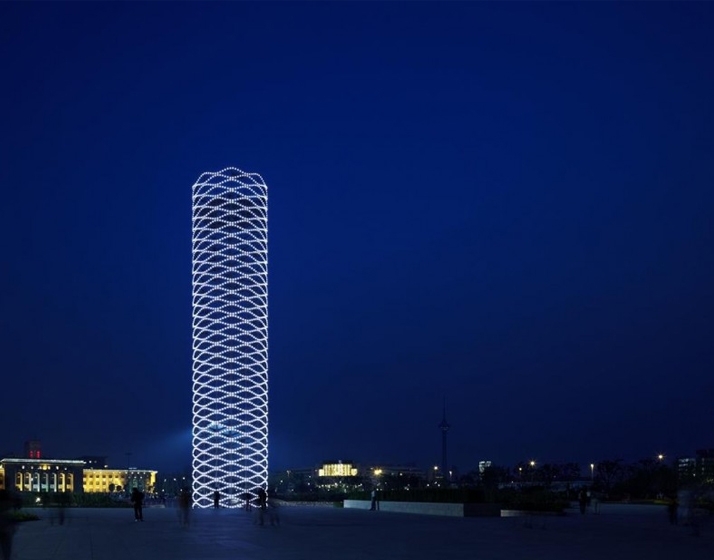 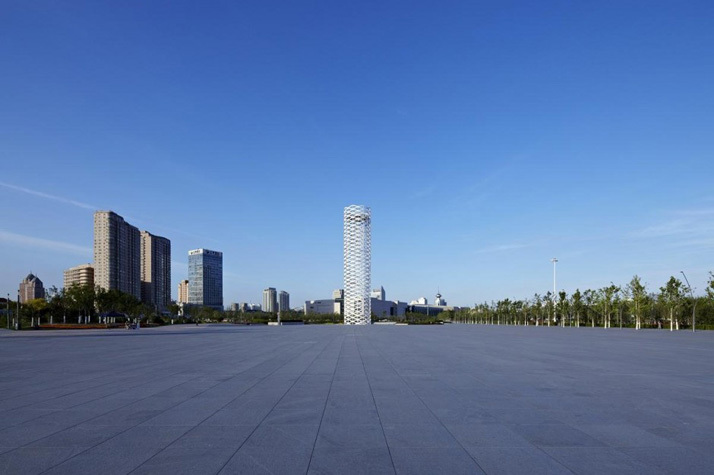 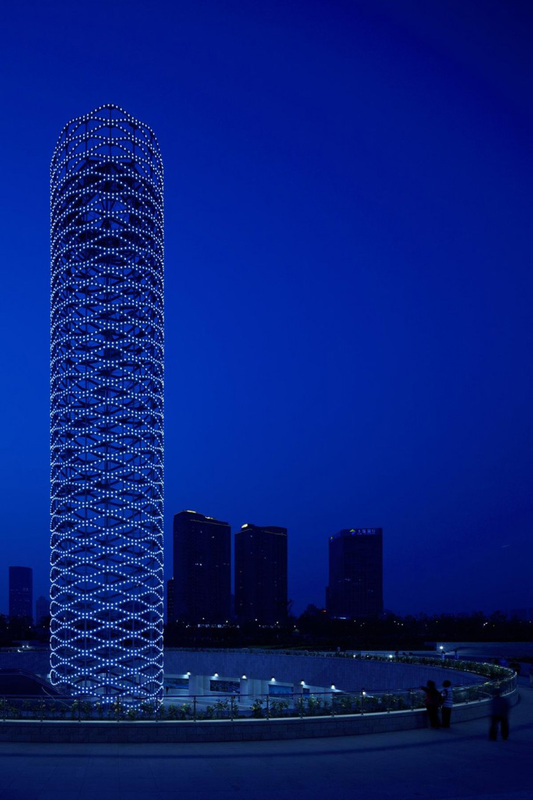 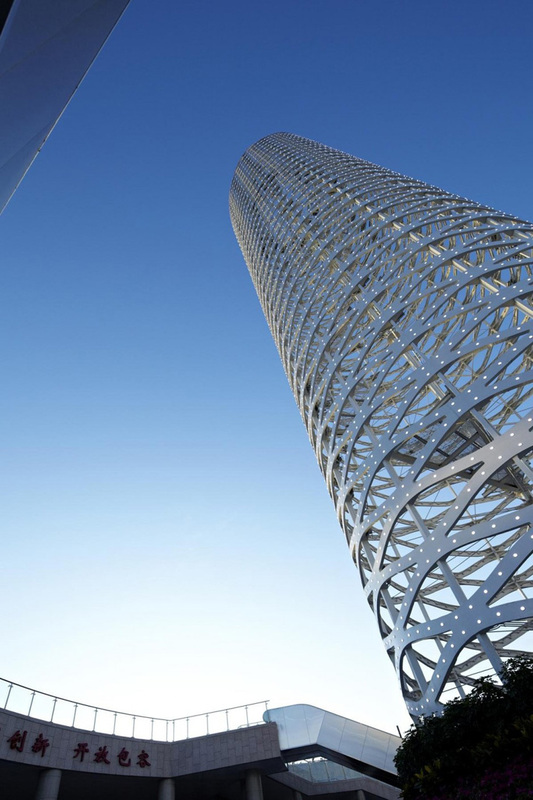 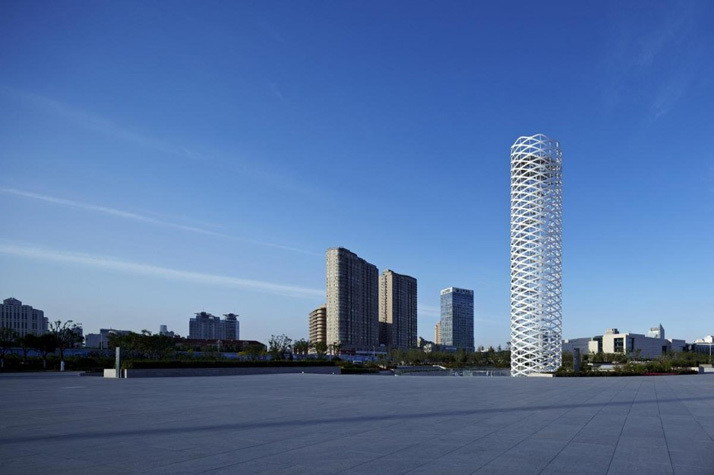 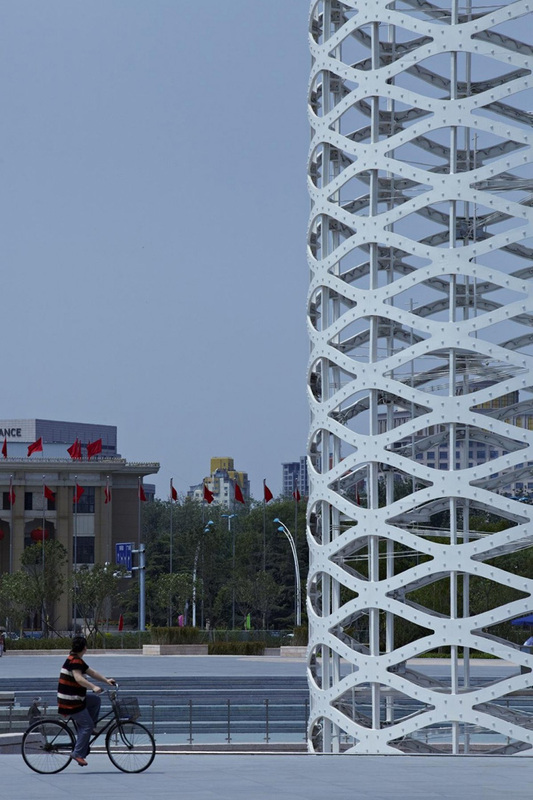 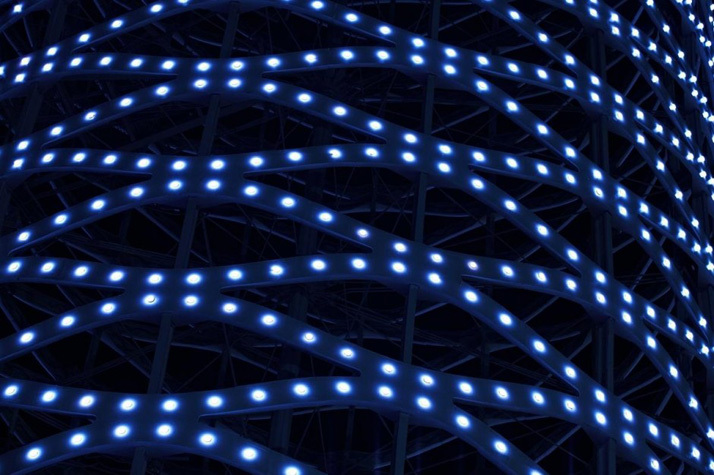 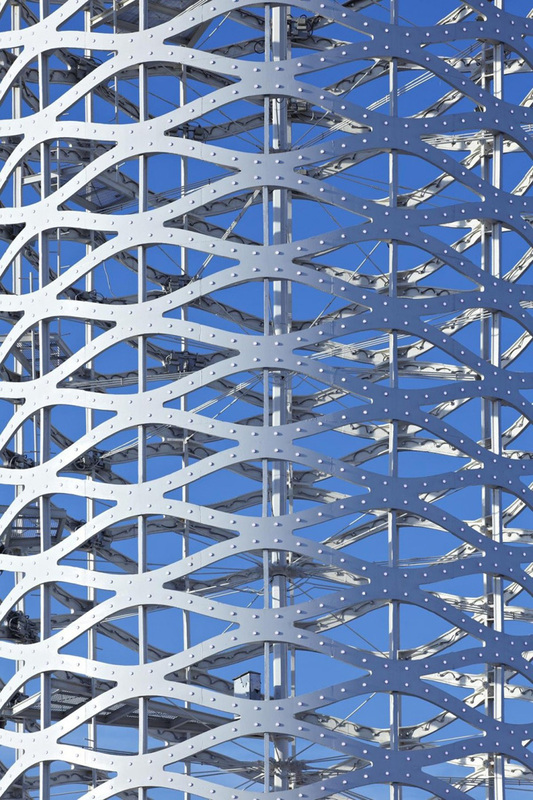 Eastern Design Office have completed the Tower of Ring in Tianjin, China. 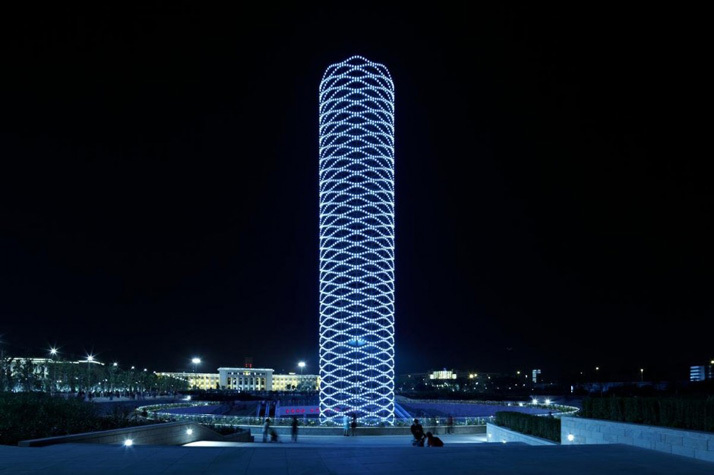 This tower is lucid. 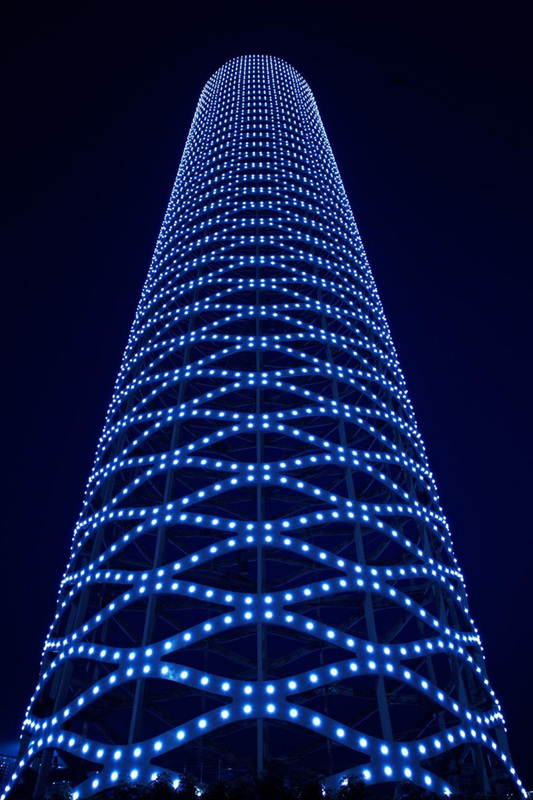 The visibility of this tower differs in accordance with the very motion of the atmosphere and every change of sky and light. 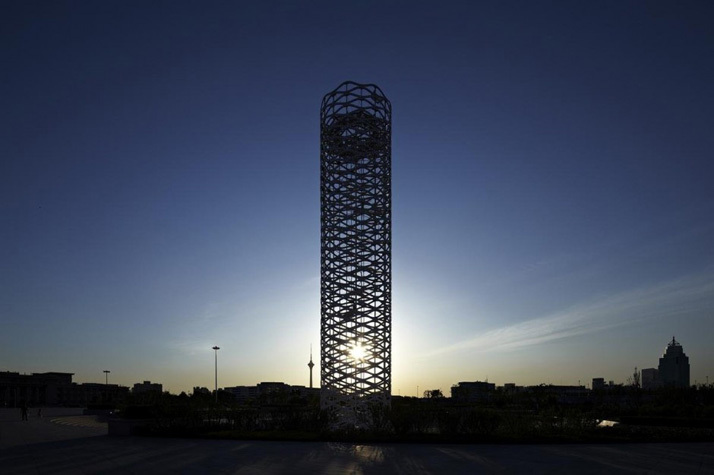 No doubt this tower forgets that it is a tower. 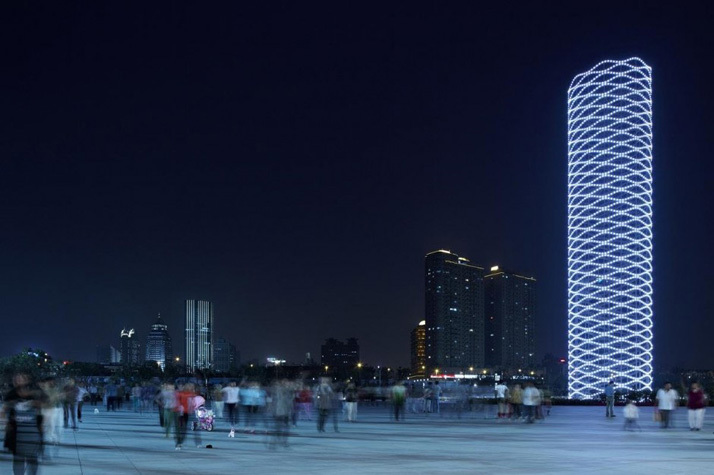 Building such a lucid tower in the middle of a big square, which is covered just by stones, can be referred to build a “void” in an empty space. 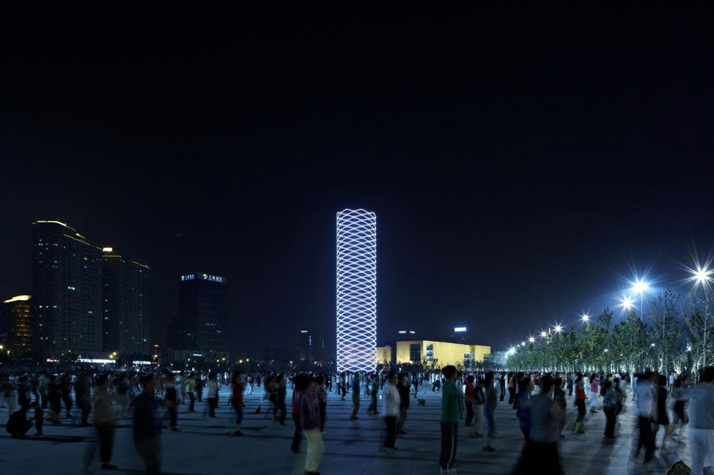 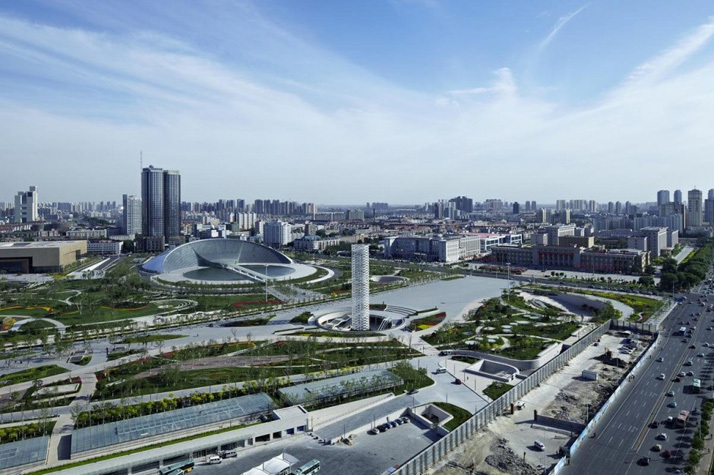 This square is the center of downtown Tianjin. 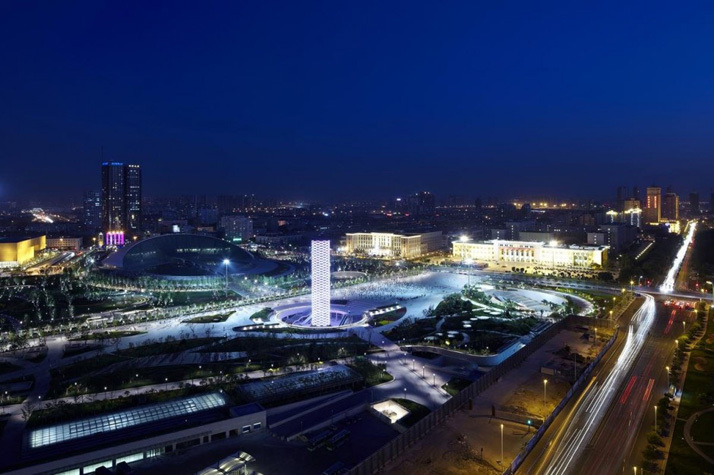 Accordingly it is a very important place. 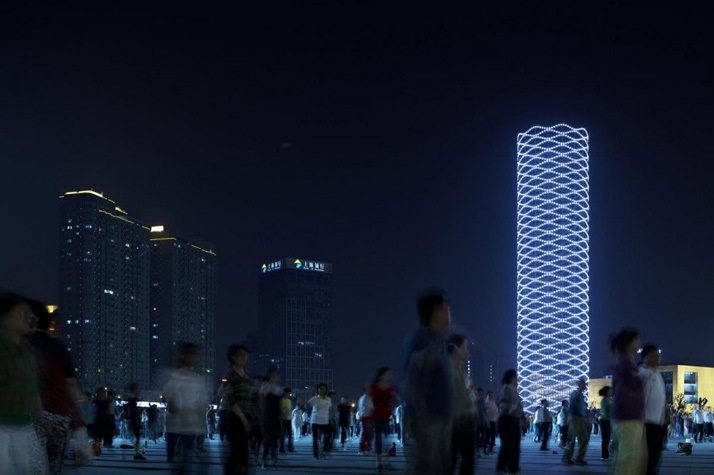 We dare to design a void space and emptiness, which has no sense of presence. 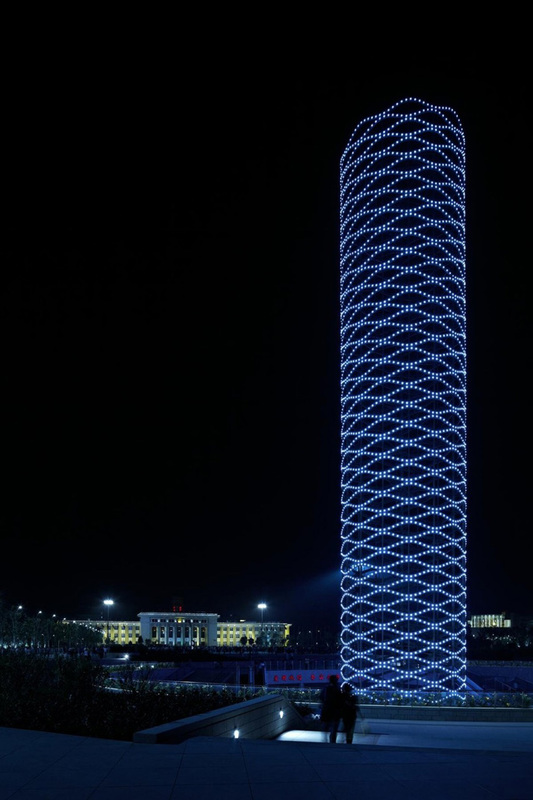 This way of thinking is based on oriental ideas. 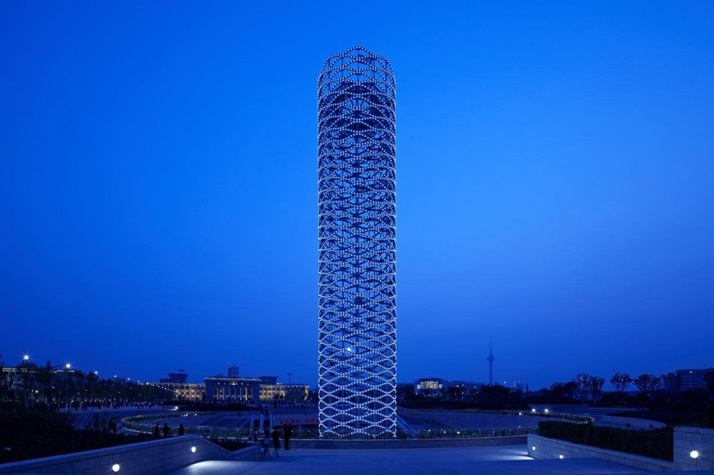 This tower is very oriental.